The famous writer, actor, music composer, playwright, and humorist Shri P L Deshpande aptly described Joshi Family as 'JOSHI GHARANA'. In the photo above you see from top to bottom: Goddess Yamai, Lord Dattatraya the GOD worshipped by Joshi Family, Swami Shivanand - the spiritual Guru of Antubuwa and Gajananbuwa, Pandit Antubuwa, Pandit Gajananbuwa, Vidushi Sucheta Bidkar - Malutai, Pandit Manohar Joshi - Bacchubhai, Pandit Madhubuwa, Pandit Narayanji, Apoorva Gokhale and Pallavi Joshi. 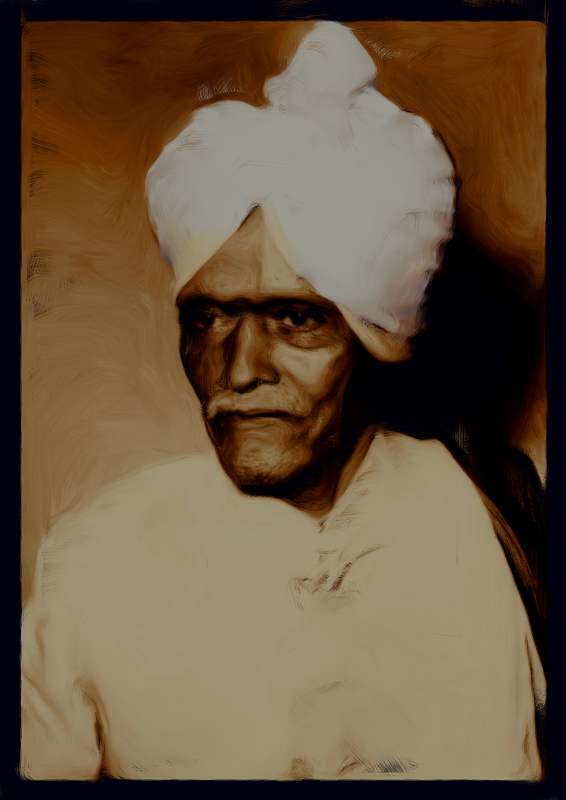 Antubuwa's father Pandit Manoharbuwa planted the seed of Hindustani Gayaki - vocal music in the Joshi Family. Now that seed has grown into fully grown lovely tree with several rich and strong branches. Joshi Family is transformed into a JOSHI GHARANA. -- Dattaji and Bacchubhai Pandit Manohar Joshi Alias Bacchubhai is the eldest son of Pandit Gajananbuwa. He is currently (2013) the president of Swami Shivanand Sangeet Pratishtan. 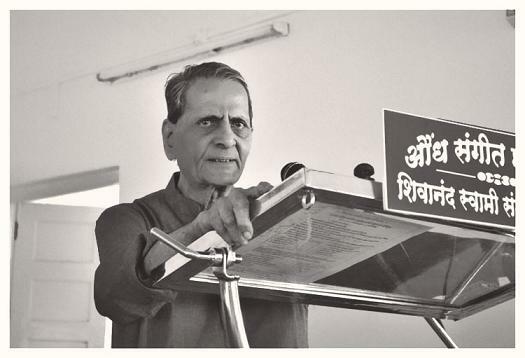 Noted musicologist, vocalist, scholar, author, teacher and Buwa's disciple Dr Ashok Ranade complementing Bacchubhai remarked that for the tremendous work that Bacchubhai has done for Swami Shivanand Sangeet Pratishtan he deserves to be given an honorary Doctorate Degree. 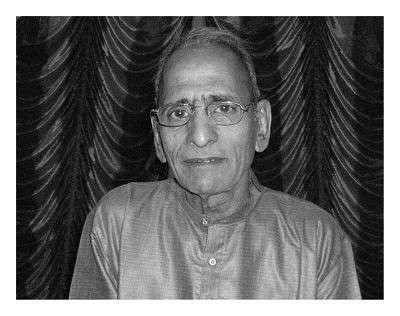 Dr Ashok Ranade fondly called Bijubhai in his comment above was referring to Bacchubhai's hard work, single minded focus and total commitment to develop, nurture and grow Shivanand Pratishtan that now enjoys a reputation, respect and admiration from music lovers and musicians from all over India. In fact it was Bacchubhai who persuaded Gajananbuwa to create and then set up Shivanand Pratishtan as a charity. Gajananbuwa as a Guru taught many of his disciples freely. 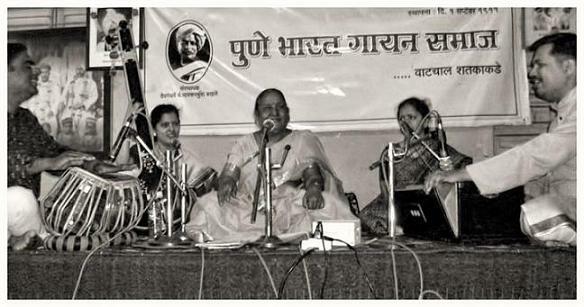 Bacchubhai has continued his father's spirit of generosity by making freely available through this website the recordings of Buwa's music and also the recordings of Buwa's tuitions to Padmashree Pandit Ulhas Kashalkar. 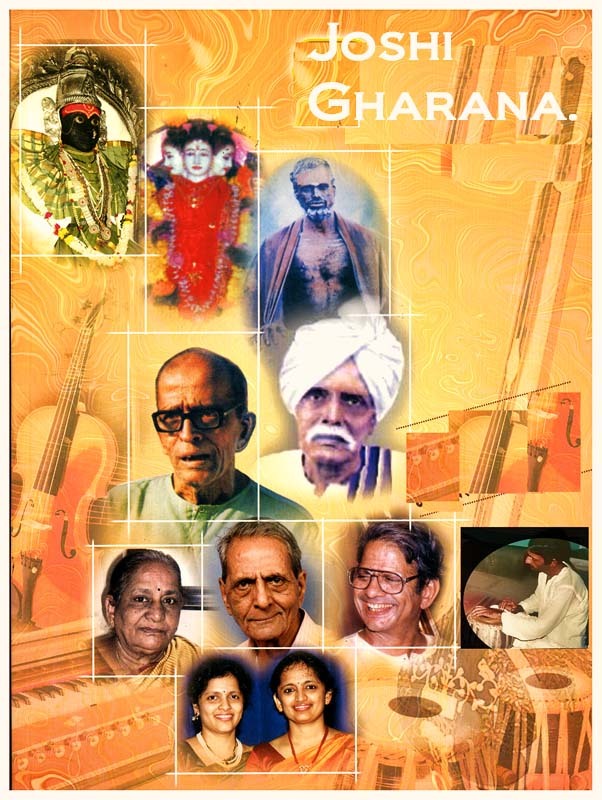 Surely this free gift to all the learners, students, musicians and other music lovers is probably a UNIQUE act of selfless service to Hindustani Art Music and big-heartedness of Bacchubhai of Joshi Gharana! 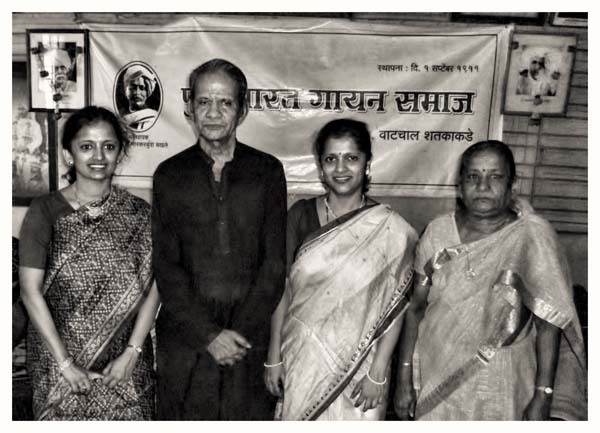 -- Dattaji From left to right: Pallavi Joshi, Pandit Madhubuwa, Apoorva Gokhale, Vidushi Sucheta Bidkar. Madhubuwa is one of the Gurus of Pallavi and Apoorva. 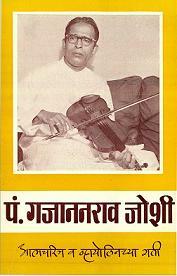 Pandit Narayanji Joshi is the youngest son of Pandit Gajananbuwa. He was a disciple of Ustad Thirakhaw Khasaheb the undisputed Emperor of the Art of Tabla. Pandit Narayanji used to accompany his father. He was and continues to be a Guru. He has also authored a valuable book on Tabla. The book is titled "AADITAL". आदिताल. The book is about his Guru Khansaheb's style of Tabla playing.This book has received excellent reviews by some of the great musicians like Bharat-Ratna Pandit Ravishankar, Ustad Allarakha Khansaheb, Pandit Nivrutibuwa Sarnaik and Pndit Vinayakrao Ghangarekar among others. 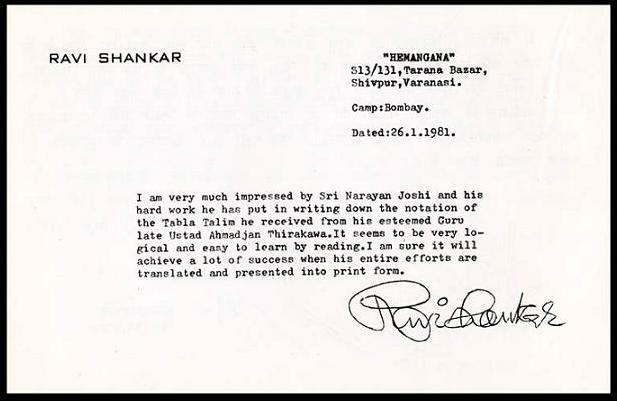 We give below the reviews of Pandit Ravishankar ji and Ustad Alla Rakha Saheb. Dr Sucheta Bidkar - Malutai - is a versatile musician. She has successfully worked as a teacher, Guru, author, research scholar, and a vocalist. She is a rare combination of a disciplined intellect of an academic with a freely flowing mind of a musician. Bacchubhai's daughters Pallavi and Apoorva have benefited from Malutai's tuitions. -- Dattaji and Bacchubhai. Pandit Antubuwa was the member of the second generation of Joshi Gharana. Antubuwa's Gwailor Gayaki with all it's richness and tradition was taught by Antubuwa to his son Gajananbuwa! -- Dattaji and Bacchubhai. 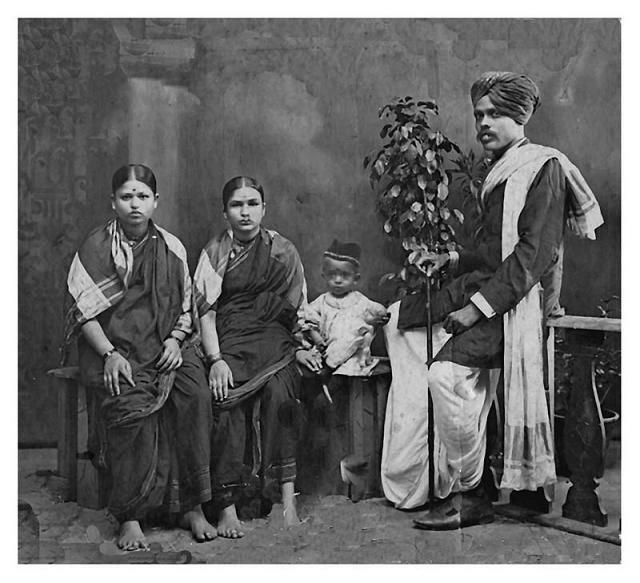 This is a rare photo of young Pandit Antubuwa, toddler Gajanan, his mother Shrimati Indirabi next to him and his aunt Shrimati Phadake next to his mother. The original old photo from Bacchubhai's collection is cleaned, repaired and processed by Dattaji.